Interested in building out an ABM strategy but don’t want to bet the bank on it? 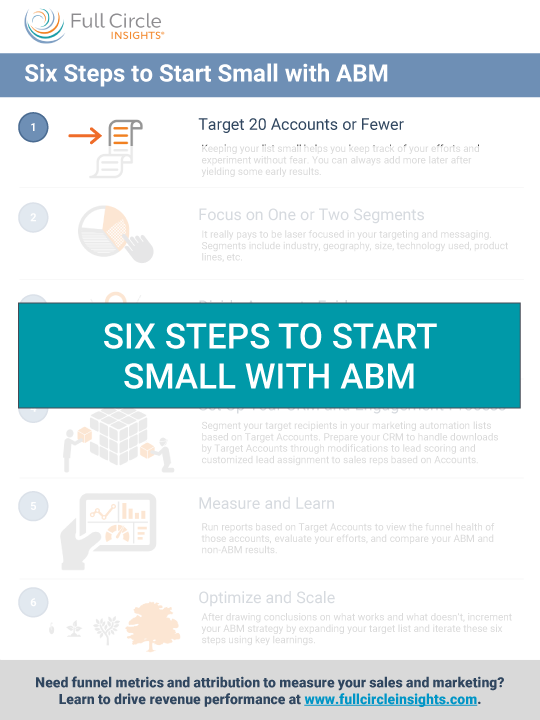 Companies (of all sizes) start small with ABM and get fast results. Testing out ABM only requires a few steps. 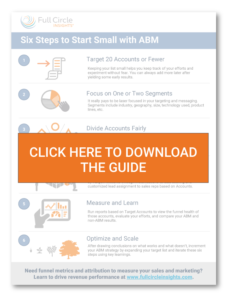 Download the 1-page guide that distills the big ABM overhaul into an easy process. We hope it helps make the case for starting ABM sooner than later.